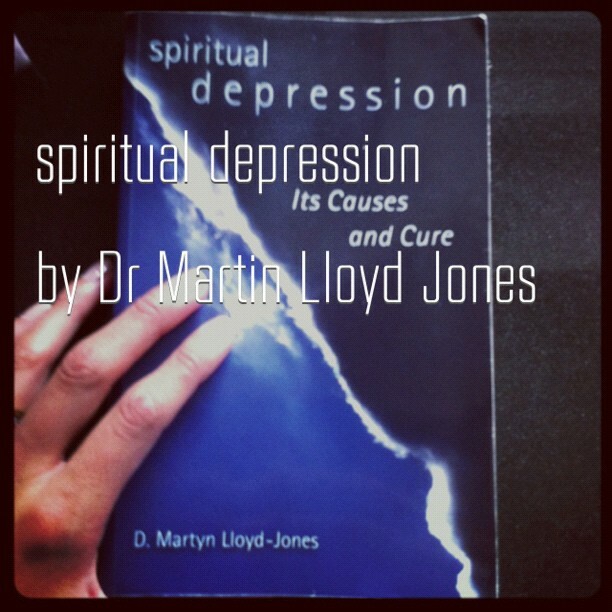 I picked up the book “Spiritual Depression” by Dr. Martin Lloyd Jones just about 2 years ago. I read it voraciously at the beach, looking forward to each new chapter. At the time, I had thought to myself, “Wow, what a great book for someone struggling with spiritual depression.” And now, I think that I can say as I read it for the second time, that this is a great book for every Christian, whether or not you think you struggle with spiritual depression. 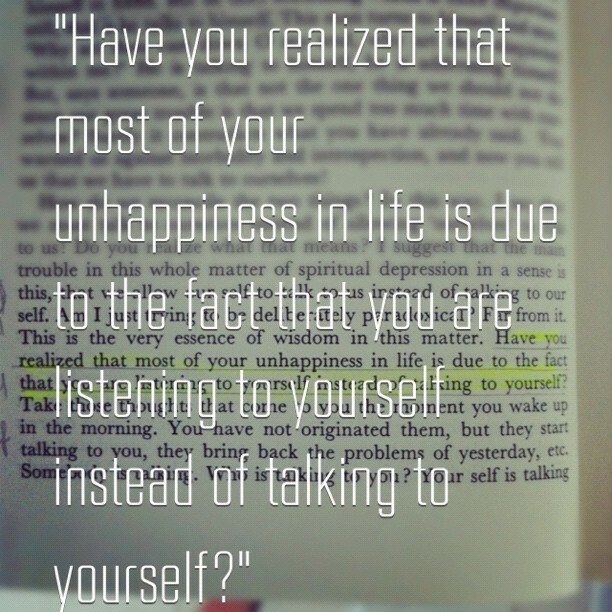 I am reading it now with new eyes, seeing myself, my own struggles with unhappiness, my own dejected countenance and inability to “hope in God”, and being blessed by new understanding of my own sin and the biblical way to deal with depression caused by all sorts of factors (mostly from within). 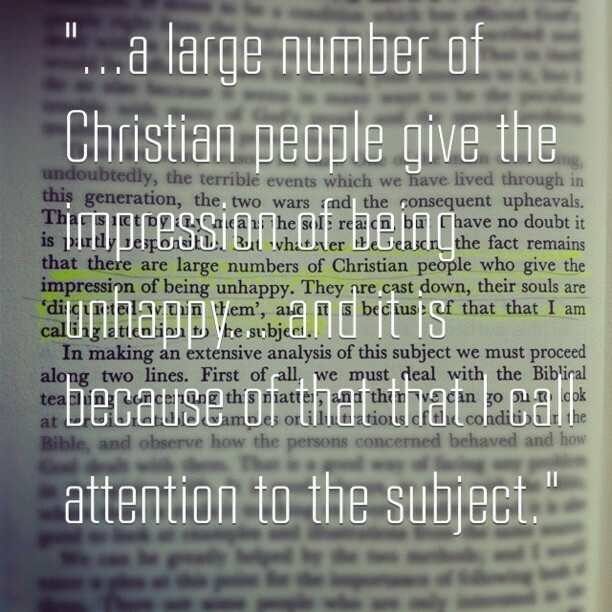 I can honestly say that I am that Christian who often times looks unhappy, and dissatisfied. My countenance shows sadness, directed towards my own failings, towards the failings of others, towards life in general. But God, is graciously, slowly, showing me ways that I am too often looking within for solutions, and listening to my own thoughts rather than looking to Him. No doubt, this is the root of the problem. But identifying the root doesn’t always mean that the problem is then solved immediately. We are struggling with sin, which means that even though we want to do what’s right, we often won’t, and we often take much longer to learn obedience than we wish, but God is patiently chiseling away. 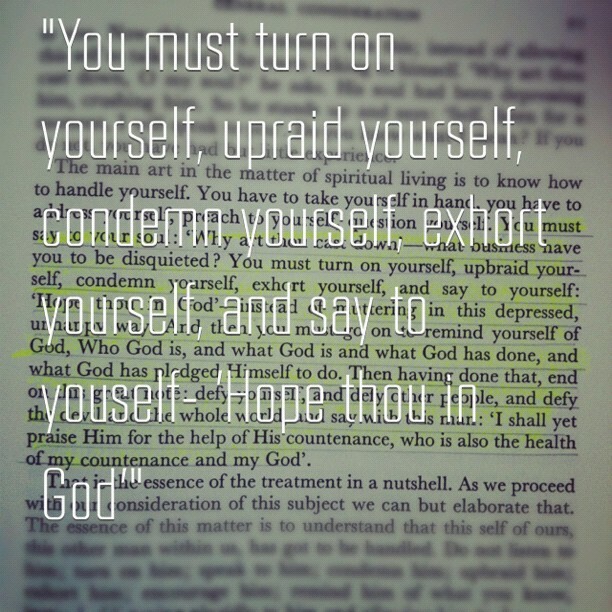 Without getting to into the meat of the thing, I will just preface my entry today by saying that, I think that each Christian to one degree or another will most definitely deal with this topic in their own spiritual life. I won’t do a good job at summarizing each chapter because there’s just too much in there that needs chewing on, so I thought I’d whet the appetite for further reading by drawing out a few lines and trying to highlight some of the main points of his introduction using some instagram photos, instead of just typing out the quotes. Enjoy! This is a very timely post. I look forward to hearing about some of the stuff you are learning from the Dr…please do share when you get a chance.